Sometimes, hearing others’ stories can help us better understand our own situation. On this page there are four such stories. The first three stories reflect different types of abuse in non-institutional settings. The fourth story, Jenny’s Story, is not about abuse, but rather, how to plan for the future. These stories are fictional. The characters and events depicted in these scenarios are entirely fictitious. Any similarity to actual persons, living or dead, is purely coincidental. Bill and his niece Betty live together. Betty can be very helpful to Bill, but there are times when Betty gets impatient with Bill when he is moving around the apartment. She pushes him to move faster, causing him to fall. She tells Bill that he is old, clumsy, and useless. 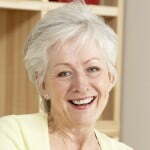 Recently, Betty poured boiling water on Bill’s hand as she was making him a cup of tea. Bill screamed as the water hit his hand and badly burned it. Bill’s neighbour heard the screams and immediately called the police as it was not the first time that she had heard Bill screaming. Do you think that Betty is abusing Bill? Yes, Betty is physically and psychologically abusing Bill. What are some indicators that suggest Bill is being abused? Pushing Bill to the point of falling is a physically abusive behaviour. In addition, intentionally causing Bill harm by pouring boiling water on his hand is physical abuse. The way that Betty treats and speaks to Bill are also indicators of physchological or emotional abuse. See the Physical Abuse page and the Psychological or Emotional Abuse page for more information about indicators of abuse. The neighbour called the police and they arrived at Bill’s apartment. What can the police do when they arrive at Bill’s apartment? The police will talk separately to Bill and to Betty. This is part of the investigation process. The Police may ultimately lay charges if they have enough evidence that Bill has been abused. For more information about what the police might do, see Getting the Police Involved. Has Betty committed a crime? Betty has committed an offence against Bill for pouring boiling water over Bill’s hand. She could be charged as having committed assault or assault causing bodily harm. Assault occurs when one person intentionally applies force to another person without that other person’s consent. Assault causing bodily harm occurs when the force used during an assault causes a physical harm or injury that interferes with the health or comfort of another and is more than just trivial or minor. For more information on physical abuse, see Physical Abuse. In addition, Betty has been verbally abusive to Bill. However, in these particular circumstances there is little that the law can do about that. The only kind of verbal abuse that is a criminal offence is a threat to kill or physically harm someone or criminal harassment. Click here for more information on psychological or emotional abuse. If Bill wants to involve the legal system, what does he have to do? He has to make a criminal complaint. For more information on making a criminal complaint, see Keeping the Abuser Away. The police decide not to lay charges but warn Betty to be careful when helping Bill. Betty gets very upset with Bill and becomes more abusive. After talking with his neighbour, Bill decides to hire someone to help him and asked Betty to move out of his apartment. Betty does not move. What can Bill do to keep Betty away? He can apply for a protection order. These court orders tell Betty to stay away. If Betty does not stay away, she can be punished. Bill needs to talk to a lawyer or someone who understands these orders to decide which order to apply for. For more information on the types of protection orders that are available in such situations, see Keeping the Abuser Away. Eileen’s grandson, Jason, has been helping her to buy her groceries. To make it easier for Jason to pay for the groceries, Eileen added Jason’s name to her chequing account so that he could write cheques. At first Eileen thought that this was working well. However, Jason continued to ask her for money for things other than groceries. Now Jason says that he needs to borrow $1500 to repay a debt. Eileen refused to give the money to him. Eileen was shocked when she received her monthly bank statement. There was a withdrawal of $1500 for which she had no record. Eileen knows that Jason has taken the money and she is worried about getting the money back. What should Eileen do immediately? Eileen should contact her financial institution immediately and have Jason’s name removed from her account. Is Jason, Eileen’s grandson, doing something wrong? Yes, Eileen’s grandson is abusing her by stealing from her. Stealing is a form of financial abuse and it is not acceptable. Are there any indicators of financial abuse? Unusual activity in one’s bank account to which the potential abuser has access can be an indicator of financial abuse. For more information on indicators of financial abuse, click here. What does the law say about financial abuse? Jason may have committed a number of offences against his grandmother depending upon how he stole the money. He could possibly be charged with theft, fraud, or both. • Theft is committed when a person knowingly takes or uses the property of another person without his or her consent, and intends to deprive that person of the property temporarily or permanently. • Fraud is committed when a person uses deceit, lying, or other fraudulent means to defraud the public or any individual of property, money, or valuable security. For more information on other forms of financial abuse, please see Financial/Material Abuse. Eileen is concerned about Jason’s reaction. She thinks he will keep trying to come back to her house and this frightens her. How can she use the law to make Jason stay away? Eileen probably does not want to lay criminal charges against her grandson. She would prefer to work things out between the two of them. However, there may be times when this approach doesn’t work and she may have to become involved in the criminal justice process. If Eileen needs or wants to use the legal process, what does she have to do? Eileen needs to make a criminal complaint. To start the process, Eileen will have to make a report to the police by telephoning them or going to a local police station. 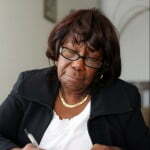 She can contact a local elder abuse intervention team, if one is available. She may need help from another relative or a friend. For more information on involving the police, see Getting the Police Involved. For more information on making a criminal complaint, see Keeping the Abuser Away. Could Eileen get her money back by going through the criminal process? If Jason were charged and convicted of theft, Eileen could ask the court at the time of sentencing for an order of restitution, that is, compensation. There are several other ways that Eileen can attempt to recover compensation for the stolen money. For more information on compensation options, see Civil Court and Compensation. Tom has moved in with his daughter and her family. Things have not gone smoothly. His son-in-law calls Tom stupid and lazy and threatens to get rid of him and take his money unless he shuts up. Tom does not feel safe around his son-in-law and he is afraid that he will lose his money. Is Tom being abused by his son-in-law? Yes, Tom is being abused. What are some indicators that Tom is being abused? His son-in-law is making threats and intimidating him and this is considered mental cruelty which is a form of emotional or psychological abuse. It is abuse, not bad behaviour on the son-in-law’s part. For more indicators of psychological or emotional abuse, click here. What does the law say about psychological or emotional abuse? Threatening to kill or physically harm someone; to burn, destroy, or damage property, or to kill, poison, or injure an animal or bird belonging to the victim can amount to the crime of uttering threats. Depending upon the circumstances of the threats made to Tom by his son-in-law, any or all of the above offences might apply. Even though Tom is living in his son-in-law’s house, he could apply for an emergency protection order. This means that his son-in-law would have to leave the property, at least for a while. This might give Tom some time to find another place to live, perhaps with the help of a social service agency. For more information on the types of protection orders that are available in such situations, see keeping the abuser away. Tom probably does not want to lay criminal charges against his son-in-law. However, there may be times when a more passive approach does not work and he may have to become involved in the criminal justice system. It may not be realistic to lay criminal charges while Tom is living in his daughter’s home. Other agencies can assist Tom in this situation. For more information on what the law says about psychological or emotional abuse, click here. What can Tom do to prevent his son-in-law from taking his money now and in the future? Tom should make sure that he does not give his son-in-law access to his bank accounts or credit cards. Tom should seek independent advice before signing anything that his son-in-law asks him to sign. Tom could also look into getting three legal documents prepared for future decisions. These documents will explain how he wants his personal and financial matters handled if he becomes unable to make decisions, and how his property should be distributed when he dies. The three important documents are as follows. For the distribution of his assets and property he will need a Will – a legal document stating how and by whom he wants his estate to be settled upon his death. For more information on wills, see Planning. For financial matters he will need an Enduring Power of Attorney – a legal document whereby Tom gives authority to another person or persons to act on his behalf in relation to his financial matters if he is no longer able to make a decision because of mental incapacity or infirmity or at a time indicated in the document. 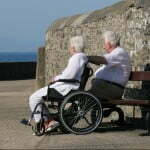 For information on enduring powers of attorney, see [Link to enduring power of attorney]. Jenny and Mary are both widows and are long time friends. They often talk about their futures, including making wills and what will happen to their money if they are unable to make their own decisions. Both Jenny and Mary decide to find some information about what they may need to do to plan for the future. Jenny has a friend at the Society for the Retired and Semi-Retired and Mary has a librarian friend who always helps her find information. They each agree to make some phone calls and do some research. What are the most important legal documents when planning for the future? Jenny and Mary learned that there are three very important legal documents that would ensure their wishes are known. Once prepared, Mary and Jenny would want to let others know that these documents had been completed and where they could be found in an emergency. The most important legal documents are as follows. What happens if you do not have these documents? Trustee – a person appointed by the court to take care of your financial affairs if you are no longer able to do so. Trustees are appointed when you do not have an enduring power of attorney or when an enduring power of attorney does not deal with a particular matter. Although a trustee can be a family member or friend, it is still possible that they might not know what your wishes would have been. For more information on trusteeship, see [Link to Trusteeship]. When a person dies without making a will (dying intestate), the law provides rules for the division of property and assets. This could mean that someone you didn’t intend to might obtain your property, and that others, to whom you did wish to give items, might get little or nothing. For more information on intestacy, see [Link to Making a Will]. Jenny and Mary are now informed about securing their future. They learned a lot and have lots to talk about the next time they meet for tea.